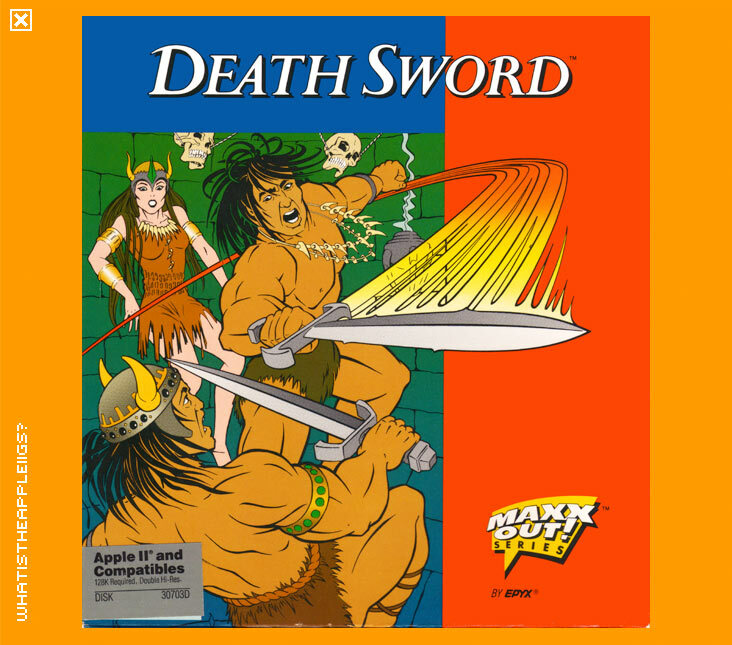 Death Sword (or as it was known in its native Britain, 'Barbarian' - not to be confused witht he Psygnosis game 'Barbarian') was released as part of Epyx's Maxx-Out series, and also later as a stand-alone unbranded release - if anyone can provide scans of one or both releases, please submit them. It's an action game with the simple premise that two sword wielding barbarians fight to the death. It can be played against the computer or another human opponent. It uses double h-res graphics, so it's more colourful than your standard 8-bit game, although it feels slow and not as resonpsive. To stop the automated demo and begin controlled play, hit the 'P' key. Apart from joystick control, it looks like the 'IJKM' key combo works for keyboard control. Not only does the game run from a 3.5" disk, it can also be run from a hard drive or large ProDOS volume. 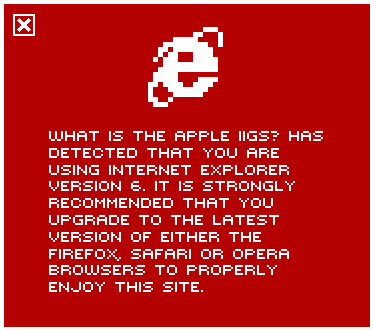 Should run fine on the IIe, IIc, IIc+ and the IIGS. Brutal Deluxe have toyed with the idea of making a IIGS version from the Amiga vesion of 'Barbarian' using their PC based development tools.